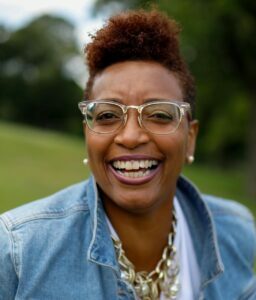 Natalie Johnson Lee, Founder of Sisters In Power 365, LLC, has always had a passion to help people live powerful lives through self-awareness and leads with purpose and passion to provide quantifiable cost saving solutions to organizations. Below, Natalie shares how her company has grown since joining the OffiCenters community. Sisters in Power 365, LLC partners with the community to develop and execute policies that improve the social and structural determinates of health. Our priority areas are: Workforce & Economic Development, Social Justice, Advocacy & Public Policy and Personal Branding. We help people be successful where they work, play, pray and stay. I have had many opportunities to connect with great people and have built my business through referrals and networking. OffiCenters attracts top quality businesses that support and enhance one another. I am constantly meeting new people, learning new concepts and getting more things accomplished. The environment is professional, productive and full of positive energy. A connection that immediately comes to mind is Sheryl Hill with Depart Smart. Jasmine Stringer, with Carpe Diem, and I were meeting at Park OffiCenter about an upcoming conference in August 2018 and Sheryl was just finishing up a meeting. Jasmine called her over for an introduction and we just connected. I have referred several people, organizations and businesses to Sheryl over the years and she has connected me to several resources and contacts as well. This happens all of the time at OffiCenters! Connect with me by email at sistersinpower365@gmail.com!